Associated Geekery Episode #162 has some animated fun for your ears! Mandy basically takes over the show as she discusses Anime news and describes her current crop of favorite anime shows and where to find them! Listen in bewilderment as she flings out trivia about shows such as: My Anime List altering stories to be more nazi-friendly? 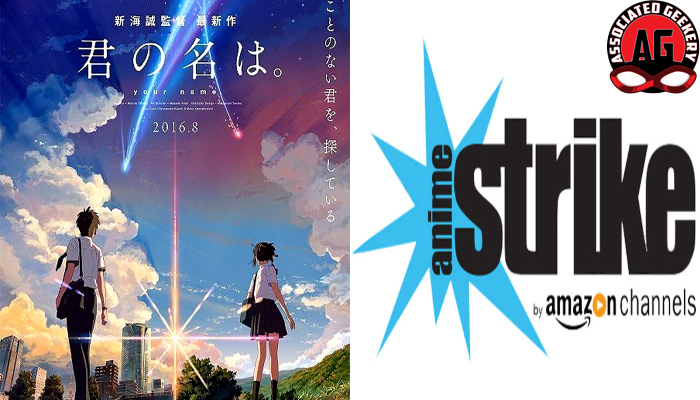 Anime film “Your Name” getting a U.S. premiere, and Amazon debuting “Anime Strike”. Be the first to comment on "Associated Geekery Episode #162"